Seating yard "Wild honey" is located in with. 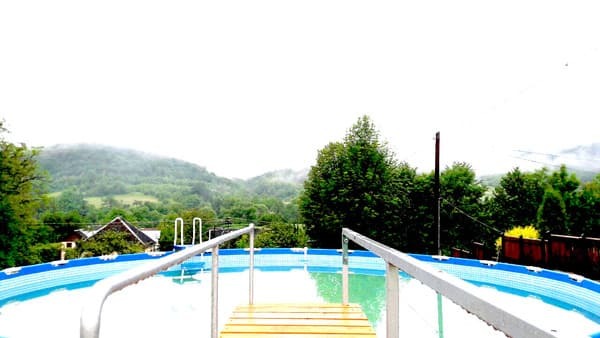 Pavlovo, 1.5 km from the sanatorium "Sunny Transcarpathia" and 12 km from Svalyava. 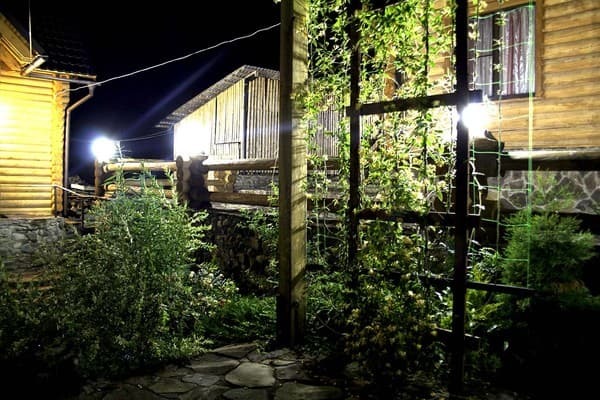 Homestead "Wild honey" is a two-storey wooden cottage, which is designed for a comfortable stay of 20 people. 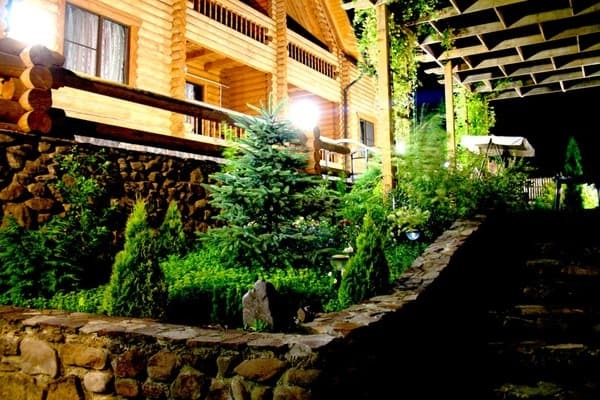 The private manor house offers accommodation in two-room and three-room suites. Each room has everything you need for a comfortable stay, free Wi-Fi. The interior of the hotel yard harmoniously combines environmentally friendly materials, luxury and cosiness of home heat. 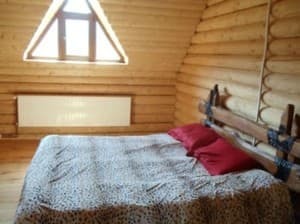 On the developed territory there is a dining room, a gazebo, a brazier, a Finnish sauna, free parking. 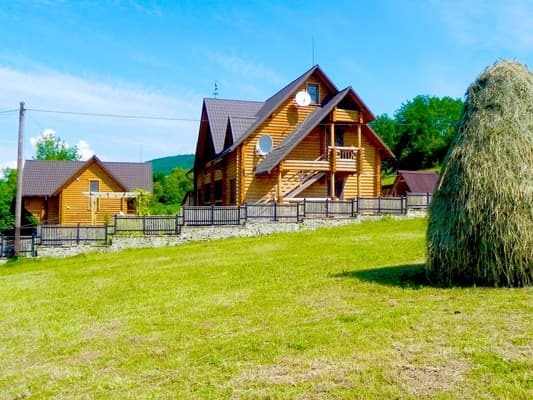 For fans of outdoor activities, there are billiards, badminton, balls, fishing, excursions to Transcarpathia, hiking, picking mushrooms and berries, riding horses, in the winter - on sleigh and skiing. The nearest ski lift is located at a distance of 5 km (p. Solochyn). PRICES MAY CHANGE, IT IS REQUIRED TO RECEIVE INFORMATION FROM THE OPERATOR. Description of the room: Fireplace room, bedroom, cable TV, plasma TV, electric kettle, refrigerator, bathroom. 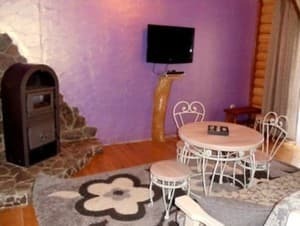 Description of the room: Fireplace room, 2 bedrooms, cable TV, TV, electric kettle, refrigerator, 2 bathrooms. Уютный домик, красивое место с хорошими деревьями. Не понравилась домохозяйка, которая вечно всем недовольна. Данная женщина отбивает желание приехать в данный отель повторно. Кухня хорошая, персонал общительный и вежливый. Не закрывается туалет и к комнаты. 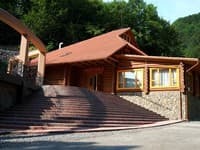 Замки неисправны. В номере нет посуды.Туалетной бумаги хватило на 1 день.Ворота на ночь не закрываются, автостоянка не охраняется. Все понравилось, очень дружелюбно встретили, советуем не пожалеете. Children under 12 years are accommodated free of charge without providing extra space. Extra bed for a fee. There is a dining room in the guest house, where guests can request meals on request. Seating yard "Wild honey" is located in with. 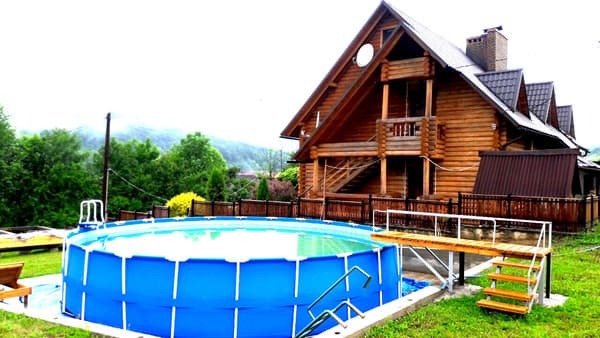 Pavlovo, Svalyava district of the Transcarpathian region, 12 km from the town of Svaliava, 1.5 km from the therapeutic resort "Solnechnoe Zakarpattya". The nearest ski lift is located at a distance of 5 km (Solochyn village).